Remember Nunavut? (It’s Canada’s newest territory.) Most of Nunavut is above the Arctic Circle where it’s pretty dang cold and pretty dang unproductive (in a biological sense). But the two ponds on Tern Island in northern Nunavut are thriving (in a biological sense). Why? Because of a plethora of poop—bird poop, to be exact. How can an ecosystem thrive and be toxic at the same time? The answer is quite simple: Poop. Let me explain… As they travel to Antarctica and back during the winter, Arctic terns (Sterna paradisaea) eat fish. These fish have eaten smaller fish. The smaller fish have eaten plankton. And the plankton has essentially eaten stuff it found in the water—nutrients and industrial pollutants like mercury and cadmium. So, when the terns eat fish, they’re not only getting loads of nutrients, they’re getting some mercury and cadmium too. While the terns are flying south and then north again, common eiders (Somateria mollissima) are chilling along the coast of Greenland. Here, the birds chow on mussels and clams. As filter feeders, mussels and clams filter suspended particles out of the water column, filling their bellies (and tissues) with good stuff (like nutrients) and bad stuff (like aluminum, lead and manganese). And when the eiders eat the mollusks, they swallow the chemicals along with the nutrients. Obviously, birds that eat chemical-laden prey will end up pretty chemical-laden themselves, but to understand the true toxicity of these birds, you have to account for biomagnification. In other words, the birds end up with a whole lot of chemicals in their bodies (even more than the levels present in the prey they eat). And because fish-eating terns are higher on the food chain than mollusk-eating eiders, terns will likely carry a greater toxic load than eiders. 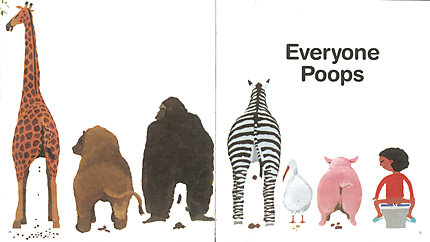 And what they eat is what they poop (more or less). Both bird populations offload a s***load of phosphorous into their ecosystems. In fact, total phosphorus concentrations in sediment cores taken from both sites were comparable to those found in sewage oxidation ponds. Of course, phosphorus makes things grow, creating the appearance of a healthy ecosystem. The terns further taint their ecosystem with mercury and cadmium while the eiders further contaminate their ecosystem with aluminum, lead and manganese. And there you have it: two toxic, thriving ponds on an island in Nunavut. *Please do not confuse this with the old food pyramid. Babies are not to be eaten, even in small quantities. ** They nest too, but, for the purposes of this post, poop is the priority.